"Because beauty comes from within, try these 100 yummy recipes - they all promote look-good benefits!" 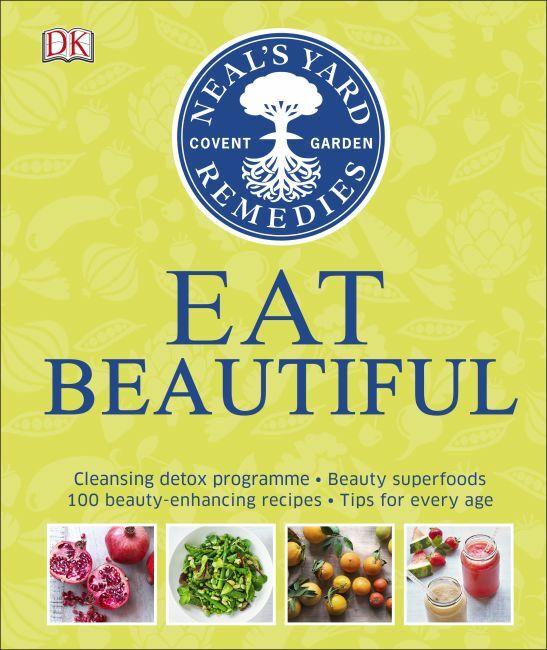 "Most of us know that the foods we eat can influence our appearance, and Neal's Yard Remedies Eat Beautiful contains all the info you need to feast your way to good looks. Whether you want to calm sensitive skin, strengthen nails or bring life back to your hair, this book shows you how foods can play a vital role." "Eat beautiful and, more importantly, feel beautiful with this testament to the power of food to transform, not just our sense of wellbeing, but the health of our skin. This book takes an in-depth look at key skin-nourishing ingredients and, with 100 easy recipes to boot, it's a celebration of whole foods, holistic rituals and edible remedies."